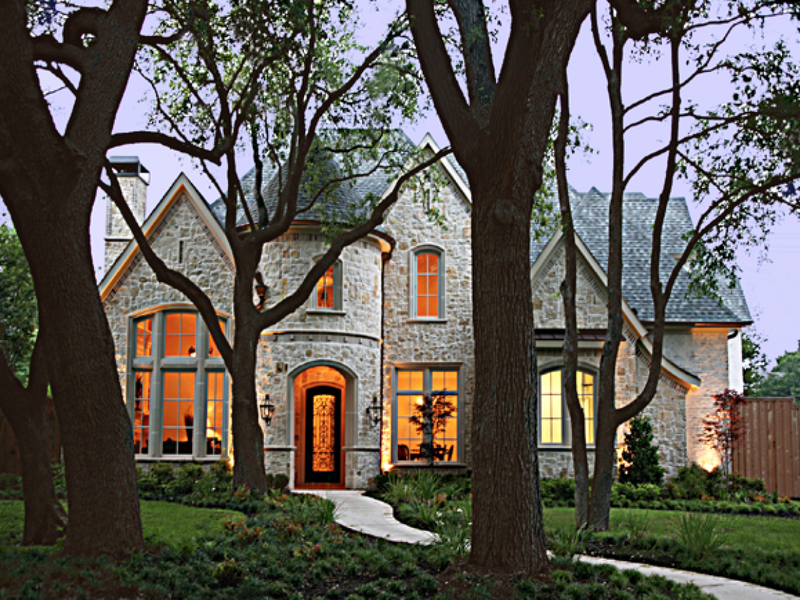 Beautiful New Construction on an oversized corner lot with outstanding trees and curb appeal in Preston Hollow. A commanding turret with gas lamps and large wrought iron door to greet visitors upon approach. 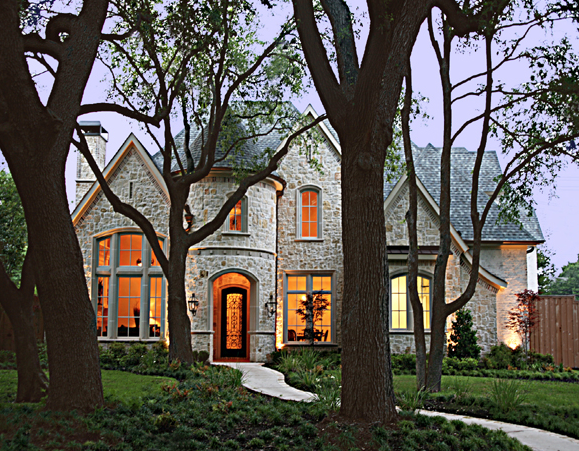 The home is well proportioned and wonderful for entertaining. As you enter through the front door into the dramatic foyer you will be engaged by the staircase and open feeling this home has to offer. As you enter into the formal living and dining areas the showcase of quality construction is exemplified from the richly stained hand-scraped hardwoods, fixtures and moldings to the custom paint finishes and French doors. The Gourmet kitchen is the center of the home which opens to the breakfast room and living area. Premium Stainless Steel Dacor appliances, commercial grade Wolf range and Sub Zero refrigerator. Granite countertops and spacious island with custom lighting and cabinetry. Downstairs master suite with sitting area and a wall of windows that shares lots of natural light throughout. Two bedrooms on first level and three bedrooms upstairs with a large game room, wet bar area and media room.